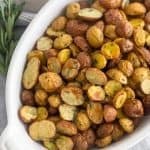 Crispy Garlic Rosemary Potatoes made in the Air Fryer! 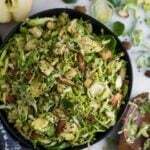 You only need 30 minutes, 5 ingredients, and 1 tablespoon of oil for a delicious and healthy side dish! Raise your hand if you got a new kitchen appliance over the holidays! 🙋🏻‍♀️ I got an Air Fryer and have been loving it! So today I’m bringing you a new easy meal prep side dish. 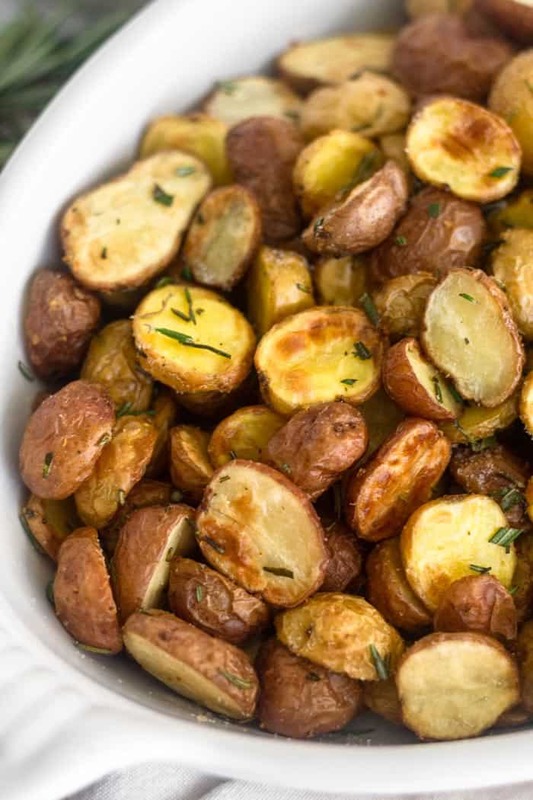 Perfectly cooked crispy on the outside, soft in the middle, garlic rosemary potatoes…made in the, you guessed it, air fryer!! Let’s get right to the question everyone is wondering – how do you like your Air Fryer? To be 100% honest, I was skeptical at first. How could it be so much different from an oven. Well, it is. From my own experience, it cooks a lot faster and you don’t need as much oil to get the same results. 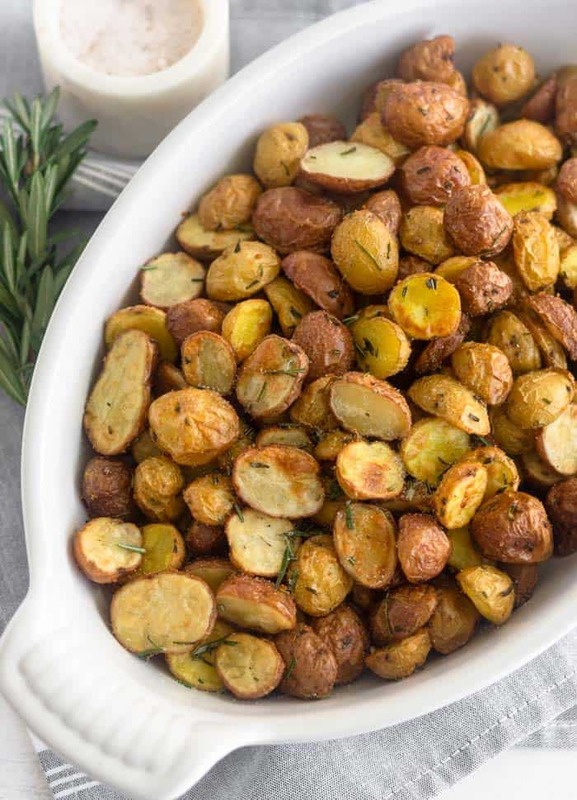 I’ve made everything in there from meatballs, salmon, veggies, french fries, cookies, stuffed dates, and now these crispy rosemary potatoes. After playing around with it, I will say that my opinion changed and I love it! To make air fryer potatoes, all you need to do is mix up all the ingredients, dump them in the air fryer, and let it do it’s thing. 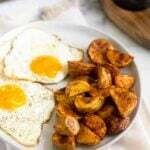 I love that the potatoes can be piled on top of each other and it doesn’t matter – they will still come out crispy. 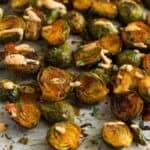 About halfway through the cooking process, you will need to shake them up, but that is it! 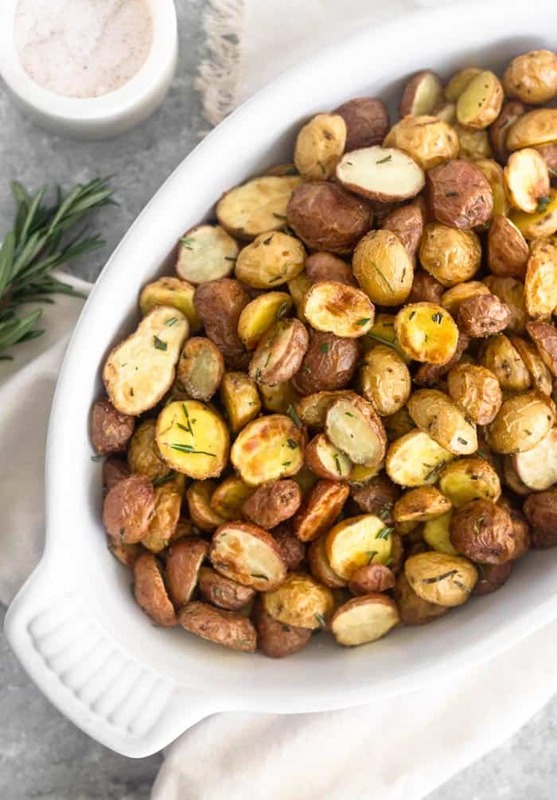 After 25 minutes you have crispy garlic rosemary potatoes! 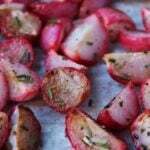 To serve these potatoes, I just sprinkle with a little more salt and rosemary. They go with just about any meal and can be eaten at breakfast, lunch, or dinner. You can even serve them as an appetizer! If you have extra, store them in an air tight glass container in the fridge for up to a week. To heat them up you can put them back in the air fryer for a few minutes or use the microwave. 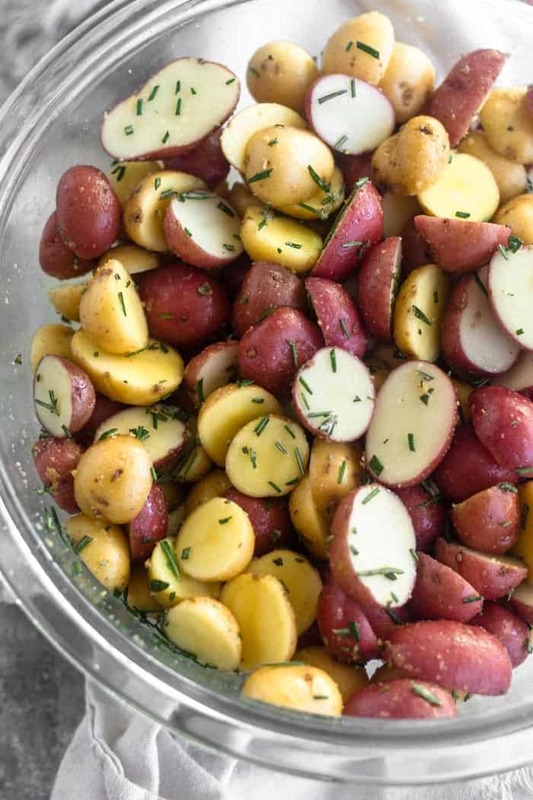 These potatoes are also great for meal prep. 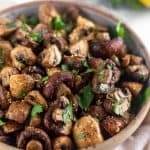 Make a batch in the beginning of the week and use them for breakfast or lunch throughout the week for an easy side! I love pairing them with some egg cups, chicken salad, or thrown in an actual salad. In a large mixing bowl, add all ingredients and mix well to combine. 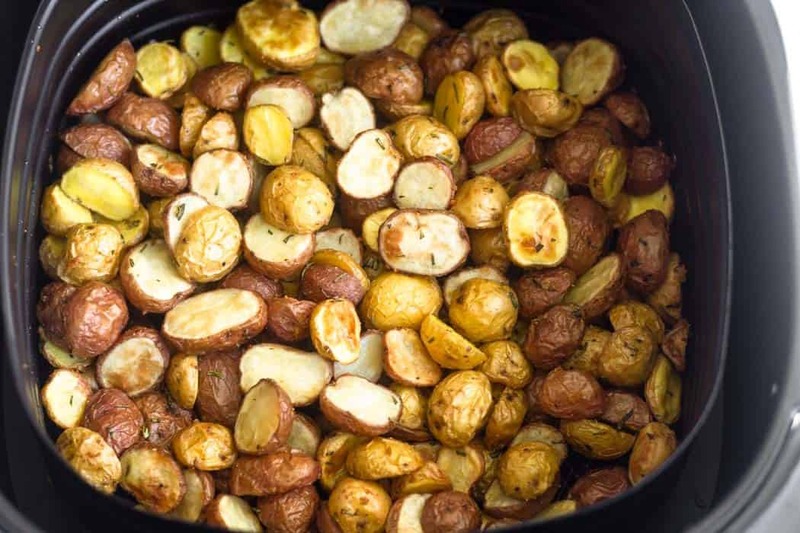 Add potatoes to your air fryer basket, close the drawer, and set to manual at 400 degrees for 25 minutes. About halfway through, pause and remove basket. Shake well to mix up the potatoes (it's best to do this over the sink). Place basket back in the resume cooking. Sprinkle with more rosemary and salt for serving. Enjoy! Simple yet delicious. This is a good twist. Thanks for sharing.